Correction: An earlier version of this story incorrectly reported the last year that Bill Graves served in the Legislature. He served from 1989 to 2004. In 2001, when he was a Republican state legislator in northwest Oklahoma City, Oklahoma County District Judge Bill Graves wrote that abortion caused more carnage than Nazi Germany. Last week, Graves ruled against a challenge to a new state law that required doctors who perform abortions to have admitting privileges at a nearby hospital. Norman physician Dr. Larry Burns filed the lawsuit. Burns said the law, set to go into effect on Nov. 1, would force him to shut down his practice. Burns said he applied for admitting privileges at more than a dozen hospitals but was refused. Graves ruled against Burns, saying Burns didn’t file his request for admitting privileges on a timely basis. Graves has a long history of anti-abortion statements. Documents show that during his tenure in the Oklahoma Legislature, Graves voted for, authored or co-authored more than a dozen pieces of legislation designed to restrict abortion. From 1997 until 2001, Graves authored legislation that, among other things, would have required informed consent for patients seeking an abortion and would have prevented the sale, prescription, dispensing or distribution of mifepristone, also known as RU-486. In the article, Graves wrote that abortion was carnage that exceeded the Holocaust against Jews during World War II. “Since then (in 1973, when the U.S. Supreme Court issued its Roe v. Wade ruling), America has exceeded the carnage of both Carthage and Rome — and even Nazi Germany — with approximately forty million abortions,” he wrote. Graves also wrote that the Supreme Court committed “a monstrous crime against unborn children” with the Roe decision. 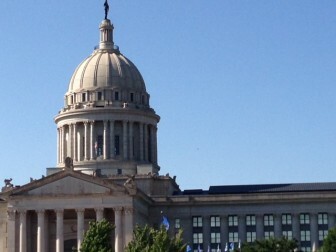 Brady Henderson, an attorney for the Oklahoma branch of the American Civil Liberties Union, said Grave’s past public position on abortion could be a concern for some who appear in his courtroom. Kate Bernyk, a spokeswoman for the Center for Reproductive Rights, which assisted Burns in the lawsuit, declined to comment on Graves’ abortion views, but said the group did not ask Graves to recuse himself from the case. “ We did not file any motions requesting a recusal in the case. Unfortunately, we can’t comment further than that,” Bernyk said. Graves said he was unbiased in his ruling. “I’m against murder. Does that mean that I shouldn’t hear a criminal case?” he asked. Graves declined to comment further. “Everything that I wanted to say is in my order,” he said. In 2008, Graves sent a letter to the Oklahoma Bar Association sharply criticizing the group for its decision to follow the American Bar Association’s Code of Judicial Conduct. Later in 2008, after Graves’ letter to the OBA became public, District Judge Vicki Robertson reassigned Graves from criminal to probate cases, which meant reassignment of more than 2,400 criminal cases to other judges. Oklahoma’s Secretary of Veterans Affairs suffered a “mini stroke” Tuesday, a spokesman for Gov. Mary Fallin confirmed Wednesday afternoon.